Arrow Box Company of Joplin has proudly served the manufacturers of the Four State Area for over 30 years. Our Sales Team has over 165 years of experience, combined with being conveniently located in Joplin, MO and our own fleet of trucks and drivers we are uniquely situated to provide the best service in the area. Founded in 1979, Arrow Box was originally located in Carl Junction Missouri. We quickly outgrew that facility and began construction at our current location in 1984. Expansions and equipment upgrades in 1992 and 2002 more than doubled our facility and capacity. In August of 2008 we completed expansion that took our total factory to over 90,000 square feet. Additional equipment added in 2013 created back-up manufacturing capabilities for every function. Early in 2015 we completed an additional 21,000 square feet of manufacturing and warehouse space. Later in 2015 we completed the acquisition of SCI Box, Lamar Missouri, increasing capabilities and adding capacity and personnel. In 2017, Arrow completed the installation of additional, higher speed equipment and new conveyor/unitizing system. We also began a partnership to provide digital printing capabilities to our customers. Our success has come from relying on our most valuable asset, our employees. As we have grown we have maintained an annual turnover rate of less than 6%, with 41% having been with Arrow Box for over 15 years. This level of experience plus aggressive cross training give Arrow Box the flexibility and service that our customers deserve. Arrow Box recognizes that our customers, many of whom have been with us since our beginning, have sustained our growth. Our company was built on a foundation of listening to our customers wants and exceeding their expectations. We have a complete range of manufacturing capabilities to produce any style, size or strength required. 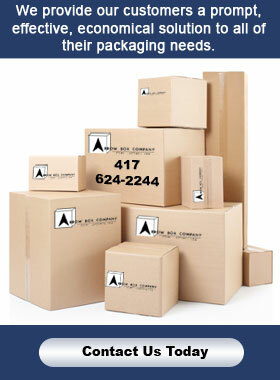 Whether you need 50 or 50,000 boxes we are your packaging experts covering the Four States.